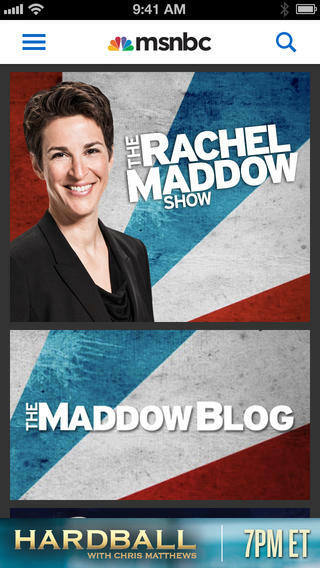 MSNBC has relaunched its app for iPhone, iPad and iTouch. The new app features a customizable user experience with live streaming, clips of select MSNBC programming and additional show content. Full episodes, clips and more content from additional MSNBC programs will be available in the coming months, according to a release issued by NBC News. In addition to video on-the-go, the app allows users to personalize their account via a customized watchlist, allowing subscribers to save favorite episodes for later. The MSNBC app will be made available for Android devices in the coming months. To download the iOS app, visit https://itunes.apple.com/us/app/msnbc/id396885309?mt=8.